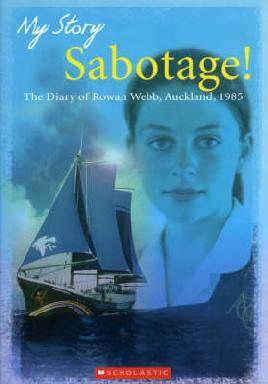 The bombing of the Rainbow Warrior took place on 10 July 1985, in Auckland's Waitemata Harbour. 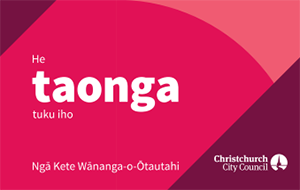 It was the first time an act of international state-sponsored terrorism had been committed in New Zealand waters. The Rainbow Warrior was the flagship of the international environmental organisation Greenpeace. It was visiting Auckland before leading a fleet of vessels to Mururoa Atoll to protest against the French nuclear testing in the South Pacific. Just before midnight on 10 July 1985, two explosions rocked the harbour, sinking the 40-metre Rainbow Warrior. Underwater charges had been placed by frogmen on her hull, blowing two holes in the ship. The Rainbow Warrior sank almost immediately. The crew managed to escape, apart from photographer Fernando Pereira, who drowned. On the night of the explosions, a man was seen wearing scuba diving gear in an inflatable dinghy. After coming ashore and tying up the dinghy, he drove away in a van. Members of a local boating club became suspicious and took note of the registration number of the vehicle. The police were able to trace the van through a hire firm to a Swiss couple using the name “Turenge”. Within 30 hours of the bombing, the “Turenges” were interviewed by the police, and then charged. In the meantime, forestry workers had reported a suspicious meeting between occupants of the van and a station wagon, which was later linked to a charter yacht, the Ouvea. Warrants were issued for the crew of the yacht Ouvea, which had been used to bring the explosives and other equipment into New Zealand, but no trace of the yacht or crew could be found. A month after the bombing, it was revealed that the “Turenges” were Dominique Prieur and Alain Mafart, agents of the French Secret Service, the Direction Générale de la Sécurité Extérieure (DSGE). 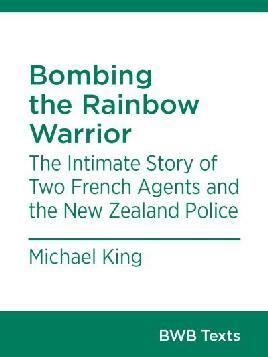 Police later discovered that up to eleven French agents had entered New Zealand as part of the Rainbow Warrior operation. A French report came out admitting that French agents had been in New Zealand, but denied they had carried out the bombing. This report resulted in so much outcry that the French Prime Minister admitted that French agents had been responsible. He claimed that because they were members of the military and had acted under orders, they could not be held responsible for their actions. On 4 November, 1985, Mafart and Prieur appeared in an Auckland court where they pleaded guilty to charges of manslaughter and wilful damage and were sentenced to 10 years’ imprisonment. Pressure was put on New Zealand by the French government, including threats to impose sanctions against New Zealand produce. The United Nations Secretary-General agreed to mediate between the two countries, and decided that Mafart and Prieur should be removed to Hao Atoll in French Polynesia, to stay there for the next three years. France was to apologise to New Zealand and pay $13 million in compensation. After renewed pressure from France, including threats to work against New Zealand trade access to the European Economic Community, the two agents left Hao Atoll before the three years was up, and returned to France. In 2017, an article was published about the French spy Christine Cabon. The Rainbow Warrior was refloated, but could not be repaired. It was towed from Auckland and scuttled near the Cavalli Islands, off the Northland coast, to become an artificial reef for marine life. Bateman New Zealand Encyclopedia, 5th ed., Auckland, 2000. New Zealand shipwrecks: 195 years of disasters at sea, C.W.N. Ingram, Auckland, 1990. Find books about the Rainbow Warrior in our catalogue. Greenpeace: Rainbow Warrior bombing of 1985 website.